Lightning becomes default with the Salesforce Winter ‘20 release. This is the time to make step change in the way you use Salesforce and make it deliver far more to your business. Whether you use Salesforce for CRM, sales, service, marketing or as a platform or product, the ten months from now until Oct 2019 count: this is the time to tackle the areas of Salesforce you’ve been avoiding. It’s all good. But you need to start now. Does the following sound like a familiar story? You’ve been paying your Salesforce licence fees for a while. 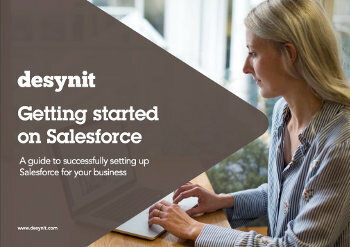 Over the years you’ve introduced a fair amount of complexity to your Salesforce setup in order to get the system to deliver what you need for your organisation. You may have worked with a partner if your requirements were particularly bespoke – possibly even involving some custom code. Over time, although your system is pretty fit for purpose (and you really do know your way around it) you’ve become increasingly aware that some elements of your setup could be improved. Some of the functionality you rely on in Salesforce will have been superseded by better, more efficient alternatives with more recent platform releases. Indeed, you might have changed your business focus and/ or processes and not brought Salesforce along with you. The problem is, when is it a good time to tackle these issues? Re-educating your users on new functionality is time consuming, and of course there is a cost of bringing in outside expertise. Ok, so you can switch back to Classic, manually. However, we would urge you not to miss this opportunity to use this critical update to leverage the buy-in you need in your organisation to make the Salesforce platform the best business system you can have. Desynit will be providing content and events throughout 2019, aimed to helping organisations through their transition to Lightning. Our aim is to signpost you to the resources you need to manage your Lightning transition yourself, but also being available to diagnose and guide on more complex, technical issues if they occur. Salesforce Lightning is your chance to dazzle like never before on the Salesforce platform. Focus on the time you have and make it count and we can guarantee you will get brilliant results. Finally, sign up for the Desynit Good Systems Newsletter. Along with other Salesforce news and events we will also link you to our monthly Lightning update, signposting all the important need-to-know information and action you need to take over the next 10 months. *OK, so admittedly this is a bit of a simplification…we will be covering the exact mechanics of how this will work and how it will affect you in subsequent content, so please do follow us.